I created a simpler color palette to keep things very clean, modern, and sophisticated. We started with a black and creamy white, complimented by a gold texture as well as a punch of feminine color with the pink/fuchsia. I included some typographical images to display my intention of clean, classic fonts trending in the direction of bold serifs. I also wanted to make sure we imparted a feeling of femininity since Carrie's ideal client is female, age 18-60. We wanted to make sure it wouldn't go overboard being lacy, overtly feminine or frilly. 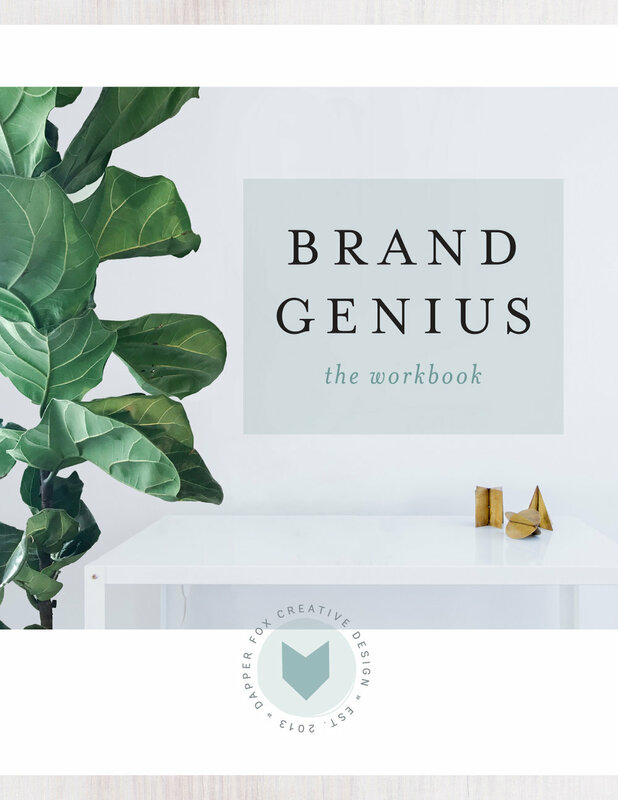 We examined the characteristics of Carrie's primary brand inspiration, Kate Spade, and made sure that we kept the brand feeling modern and trendsetting, yet inviting, classic and strong. Carrie's main goal with her primary logo design was to have a logo that would be strong and bold, but also allude toward the shape or elements of a 'bra'. I love this play on words because it has such a great meaning behind it, but its also memorable and fun. With her primary logo design, I utilized the B.R.A. initials to create a memorable, type-based logo that can be used on its own, or along with the text to the left that says Business Relationship Alliance. This design alludes to the bra concept visually in two ways: the swash from the R that connects the letters and creates a kind of 'support' for all of them, and also the letter B is the shape of a bra on its side. This particular logo design is more of an abstract concept of support, so it gave us the option to go with more of a text based primary logo so we could bring in lots of visuals throughout the brand and sub mark. We designed the BRA Network website on the Squarespace platform because Carrie wanted something that would be easy to update and maintain on her own. We set the website up so that finding the directory of women entrepreneurs would be as easy as possible. Separating the directory into separate categories was going to be critical to making the site easy to use. We ended up having quite a few categories (20+), so I implemented a dedicated directory page with custom buttons. 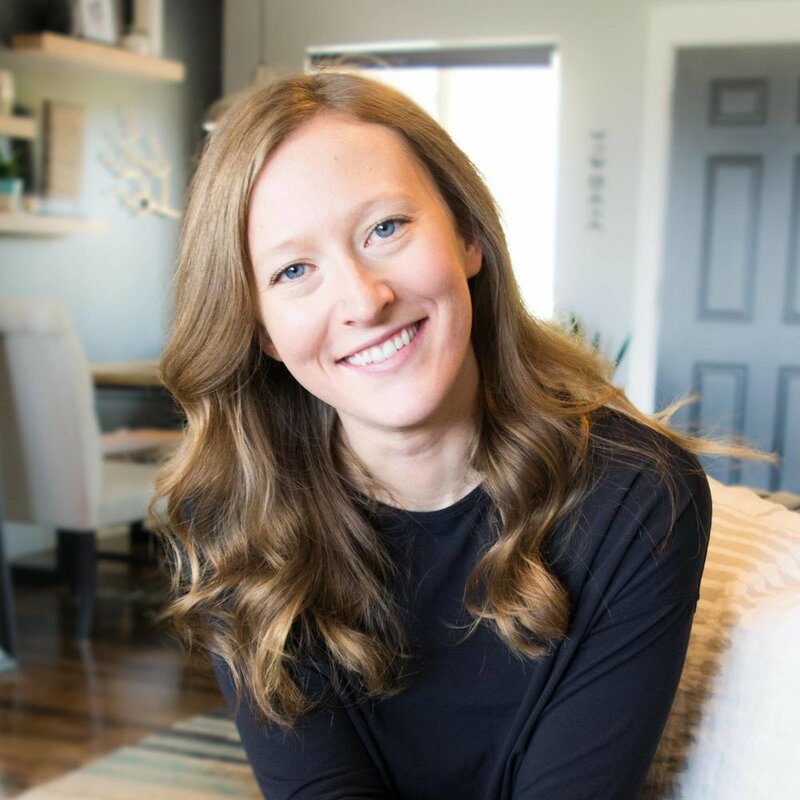 Each page within the directory has the women entrepreneurs in that category listed out with sub pages that are individual profiles. 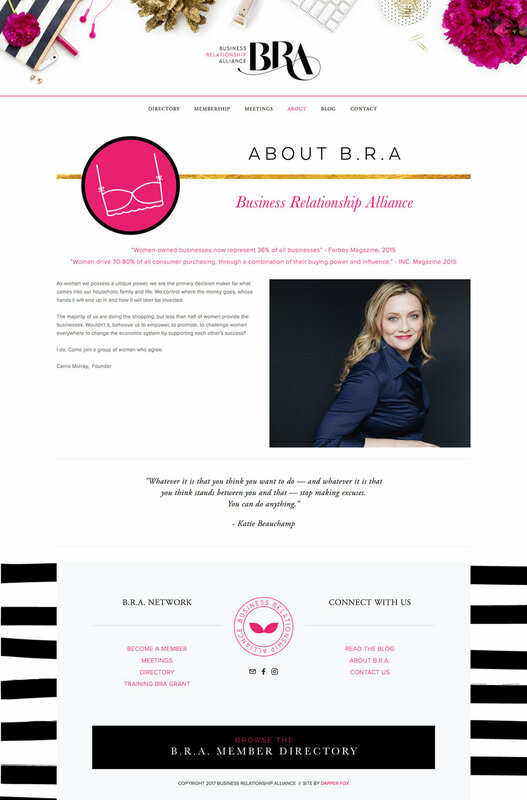 After our training/website walk-through at the end of our project, Carrie is now able to grow the Business Relationship Alliance directory as new members need to be added. I love being able to give businesses owners full control of their websites, and the confidence to update and maintain this vital part of their business! Make sure to check out Carrie's new site here. "Working with Ali at Dapper Fox Designs well exceeded my expectations. She was able to take my scattered ideas for a logo for my brand and make it a modern and creative reality. Even with me in California and her in Utah, it felt like we were in the same office space working in tandem. One of my favorite things while working with her was her approachable, professional and positive attitude, She always on point and she offered great ideas during the creative process. I wish I had more ideas for businesses so I could work with her again!"